I don't know if I'll ever tire from dressing Bianca in matching outfits with me. At this moment in time she loves dressing just like mommy. She loves picking out her adorable outfits, twirling in pretty dresses, and pretending to be a princess. I know this could change at any time, so I'm just going to enjoy it for as long as possible. 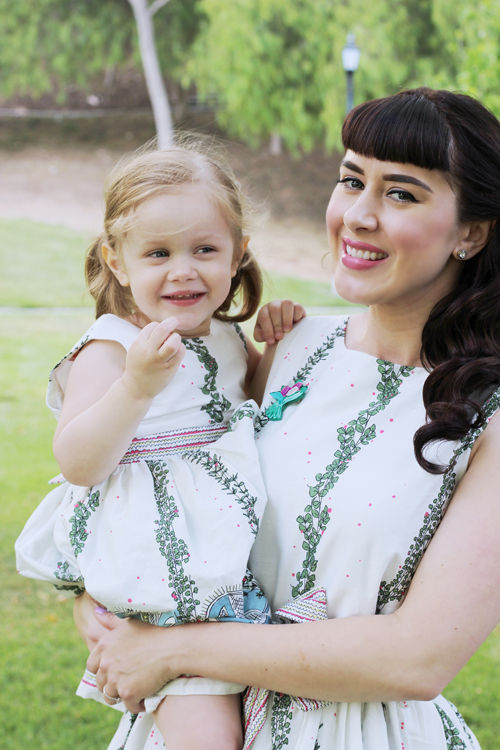 Bryony & Co. has an amazing assortment of mommy and me dresses, I definitely had a hard time picking my favorite! But we decided on these Giraffe House dresses and can't get enough of them! These dresses are a nice lightweight cotton and fully lined. In addition to the adorable border print, I love the relaxed fit of my dress. It definitely makes it more of a day to day comfortable outfit. 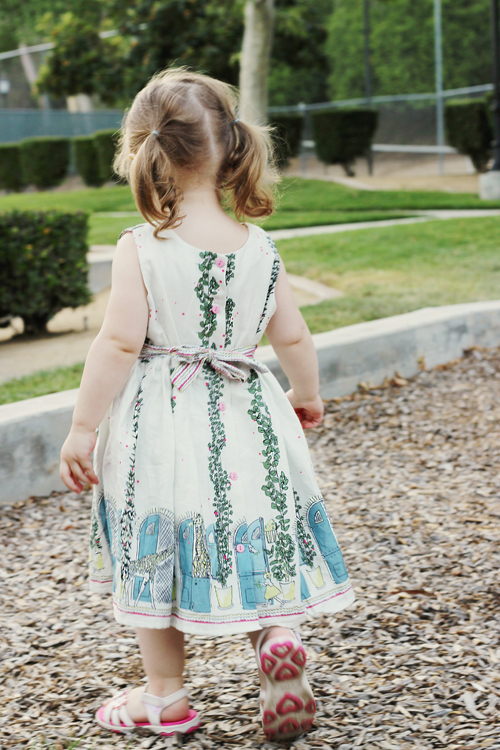 Each dress from Bryony & Co. comes with a story book that coincides with the print of the dress. Because of the giraffes, Bianca had me read her story over and over. She's quite obsessed! Bianca, Kevin, and I have a trip planned to the San Diego Wild Animal Park this month (we don't visit places that encourage animal captivity) and she's going to see a real giraffe for the first time. You better believe we'll be wearing these dresses as well! 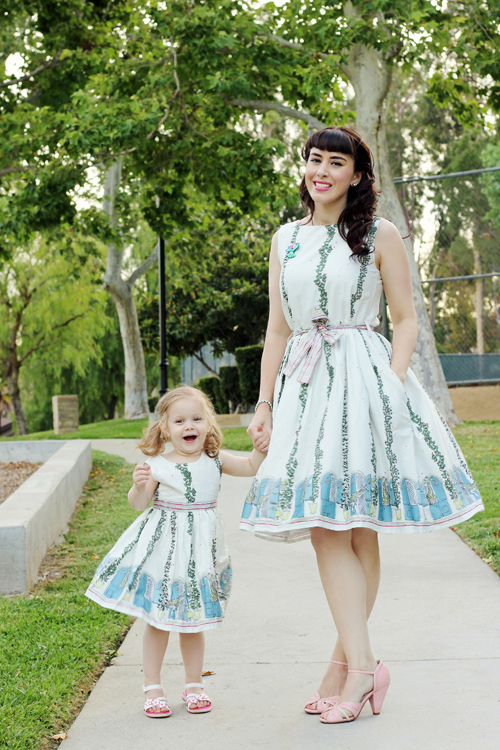 If you're looking to add a Bryony & Co. dress to your wardrobe, make sure to use the coupon code CALIFORNIA15 for 15% off your entire order :).